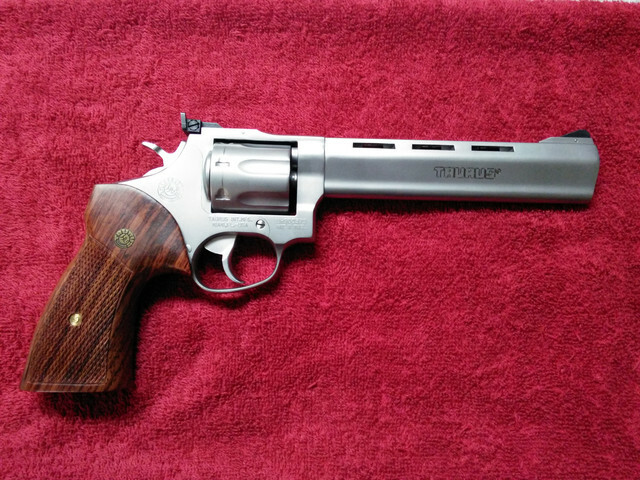 Here's an interesting little story about an economical revolver. In fact, this is a little bit of a success story. 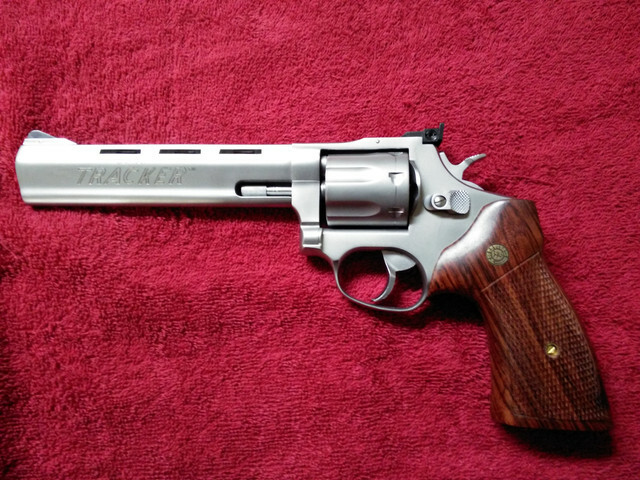 Back in 2001, I wanted to buy a 6" SS 22lr revolver but didn't want to spend $500-$600 for a Smith (not sure if Smith was even offering SS in 22lr back then). Also, as best as I can recall, Ruger wasn't producing these types of revolvers back then. So, I settled on a Taurus Model 970, 7 shot, vented rib, 22lr. The price was an affordable $250.00 in 2001. It was a pretty handsome gun to look at, and after many thousands of rounds, never once failed in any way. It shot as straight as it could be held. And that was the problem: the trigger break was crisp, with no creep but at a heavy 5 3/4 pounds. I simply couldn't hold it steady with this amount of trigger pressure. So, after about 18 years, I decided to try and do something to improve the revolver. I ordered a set of reduced Wolff hammer and trigger springs. For the hammer, the Wolff kit came with 3 springs - 10, 11 and 12 pounds. I started off with the 11 pound spring. At the same time, I installed the reduced trigger spring. While the grips and sideplate were off (for the first time in the life of the revolver), I used very light Penn fishing reel grease to lube the entire mechanism. Upon installation of these two springs, and the generous lube job, the cocking action now felt like smooth butter. The trigger pull was also reduced a full 2 pounds to 3 3/4. But this isn't where I wanted the trigger break to be. (I've gotten accustomed to 2.0 - 2.5 pound breaks so prevalent in my Smith revolvers!). I was thus hoping for between 2.5 and 3.0 pounds for a trigger break in this Taurus. Since springs are cheap, I decided to experiment by snipping 3 coils off the trigger spring. And there she was -a 3.0 pound break. Next, off to the range for a trial run. The 11 pound hammer spring was delivering light strikes, but the trigger felt heavenly. Once home, I disassembled again, and installed the 12 pound hammer spring to improve the strikes. Upon testing, no more light strikes with 100% ignition across a multitude of ammo brands. I proceeded to pour about a brick of ammo through this newly renovated little Taurus. No issues whatsoever. Got back home, and checked the trigger pull. After about a brick of ammo, the break settled on 2.5 pounds with no creep. Perfect! Next, it was time to do something with that cheesy rubber handle Taurus installs from the factory. Much too small for my grip. I came across a handsome set of larger wooden handles, and I installed them on the Taurus. This Taurus is now something to be reckoned with. The action is butter smooth, and the trigger break is target quality. The grips fit my hand perfectly. My groups have improved substantially with the Taurus. I'm just an average shooter, but last weekend 5 of 6 rounds landed within a 1/2 inch square at 15 yards. It's a pleasure to shoot the thing! Last edited by bayou on 11 Apr 2019 08, edited 1 time in total. Talking about 22s, our local WallyWorld has had 22 bricks of Thunderbolts (500 count) on sale for $14.58/brick for quite some time now. I thought that was an outstanding price. So, I purchased a bunch of bricks while they are available. If you find that price attractive, you may wish to pass on over to the ammo cabinet to check about this offering at your local WallyWorld.